The late Daniel Olorunfunmi Fagunwa widely known as D. O. Fagunwa was a great writer, author and researcher. He became popular through his great literary works in Yoruba Language. His name still rings bell not only in his Oke-Igbo hometown in Ile-Oluji/Oke-Igbo Local Government Area of Ondo State, but across the length and breadth of the country as many still make reference to his works. He was one of the first indigenous authors to pioneer writing of Yoruba novels. His major work is Ogboju Ode Ninu Igbo Irunmale. It shot him into instant limelight and placed the agrarian community of Oke-Igbo on the world map. Other books by the legend included Igbo Olodumare, Aditu Olodumare and Ireke Onibudo, all of which remained enduring legacies even after his death 54 years ago. As a result of his creative writings bordering on unseen forces and mysteries of life, there were lots of controversies surrounding the death of the foremost writer. These have refused to be laid to rest despite the family’s efforts to dispel the stories. The stories, the rumours are in various shapes and dimensions. Some believed Fagunwa disappeared shortly after he kicked the bucket. Some others said he was drown in river and his corpse was not found, just as there was also the rumour that he was taken away in a whirlwind as a result of the metaphysical powers he was said to possess. She explained that her husband had no premonition of his death. She confirmed that he was drowned in Wuya River in Niger State, while returning to Ibadan, Oyo State, from a book tour of Northern Nigeria, adding that his body was found at the bank of the river three days later. “He initiated the establishment of Heinemann Publishing Company in Nigeria and Heinemann published his last official book. I call it official because he was writing one, which he couldn’t complete. I regarded Aditu Olodumare as his last official work, it was published by Heinemann. “Through him, the company decided to come to Nigeria so that they could have many writers and authors from Nigeria and publish their works. My husband was appointed as the manager of the company in Nigeria. He travelled around the country marketing Heinemann books to schools and in search of great writers like him. “He (the driver) said they left their hotel around 5:00am and the people to ferry them didn’t come until around 6.00am. When they got to the riverbank, Fagunwa decided to take a walk around before the people would be ready. While he was strolling, it was not yet daybreak he said he just heard a sound in the water. “He looked at the direction and his master was nowhere to be found. He ran there and before he got there, he found a canoe, which had turned upside down. He guessed that it was not unlikely that Fagunwa had a slip as he walked too close to the bank of the river. “Indeed, Fagunwa’s corpse was found floating on the third day in what continues to baffle people and add to the myth surrounding his death. He was found at the exact spot where he got drowned some 72 hours earlier with his cloth and cap intact and his pair of glasses in his hand. “What surprised us was that he had his shoes on, with his cloth intact as well as his cap and had his pair of glasses firmly in his hand. This was told by people who saw him at the river and people who saw his corpse when he was brought home. “My husband did not believe in native medicine, he was a Christian and from a Christian home. His father was the Baba Ijo of St. Luke’s Church, Oke-Igbo, the mother also became the Iya Ijo of the church. “He didn’t believe in belonging to any cult. He believed in his God but his books as you said are based on mysteries and demons. I am happy you are in Oke-Igbo now. Oke-Igbo is surrounded by hills and forest. The town has extensive land, though there were not as many villages as we have now. In those days, they had villages and at weekend school children would go to their parents in the farms after school lapsed on Friday. The 85-year-old widow was barely 31 when she lost her husband and did not remarry: “There could never be any man like D. O. Fagunwa again in my life. What else can I get from any other man? He was always there to shower me with love and affection. 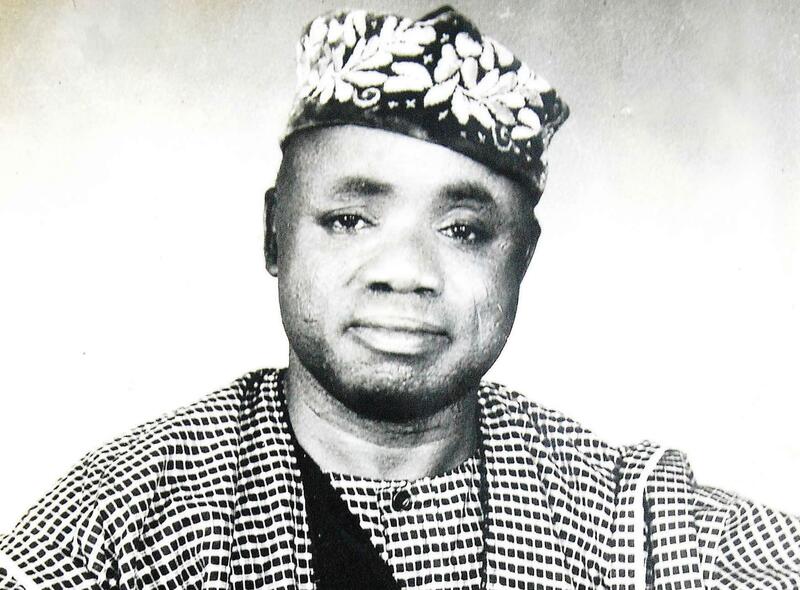 A niece to the late Fagunwa, Isaac, described him (Fagunwa) as a man of the people and a man after the welfare of his people: “Oke-Igbo would have developed more than this if he were to be alive because he valued education more than anything. Oke-Igbo has a road and a primary school named after him. Fagunwa who was the Bogunro of Oke-Igbo remains a household name in the town. At the final resting place of Fagunwa in the church premises, a guard was seen. He refused to speak with the reporter, even as efforts to see the priest in search of the church did not yield result.